Hey all you faithful bloggers - it's been awhile since I've done an update and A LOT has happened. I'll hopefully be able to go back and catch you up on some of the stuff that's happened over the past month - but first I just wanted to take a minute to share some of the pics of what's going on over the past week. It's a beautiful word... 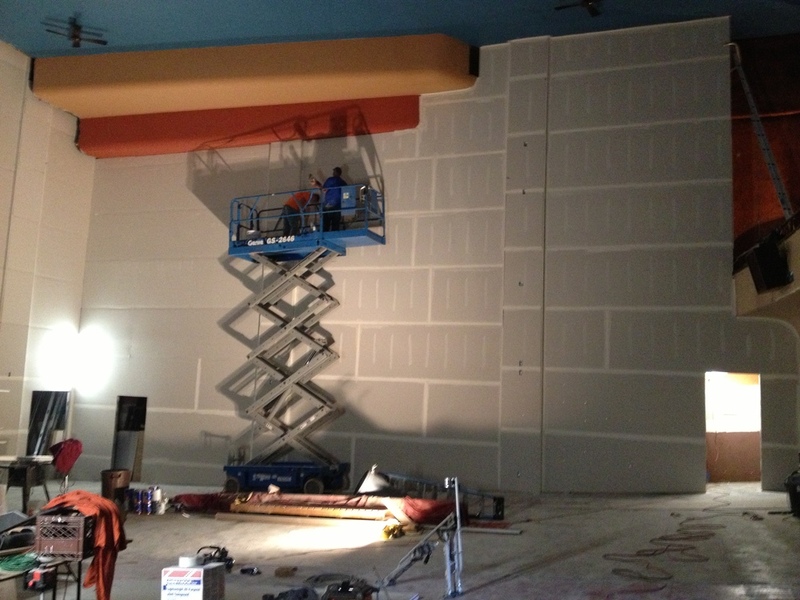 DRYWALL!!!!! 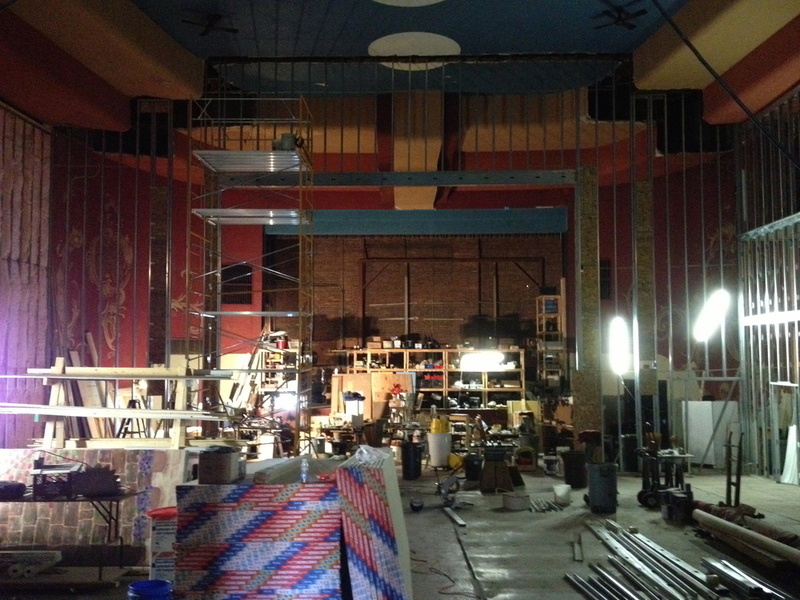 We ended up biting the bullet and hiring the pros to take care of this step of the auditorium. I don't have a lot of time to write cuz we are all being pulled in about fifty different directions right now between auditorum stuff, teaching at Manchester U (oh, I forgot to mention - I got a new teaching gig as their theater prof. More on that later..), and getting ready for the Halloween and Christmas shows. Since a picture is word 1000 words, I'm gonna leave you with a few instead of rambling on! They wasted no time, on Wednesday morning another crew showed up and started mudding. Mudding finished up yesterday afternoon. This morning the sanders arrived and by this evening the drywall step will be done. Finish photos to follow! 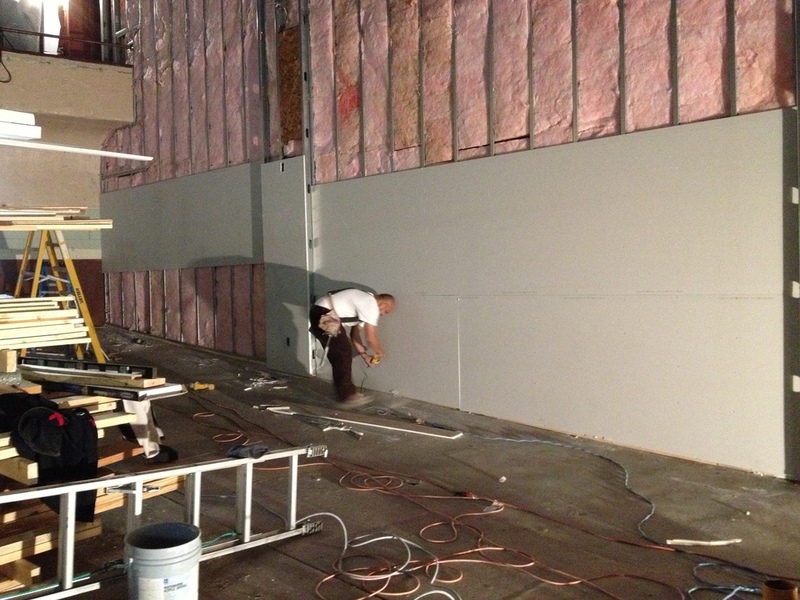 Tomorrow morning we can start priming the walls for paint! 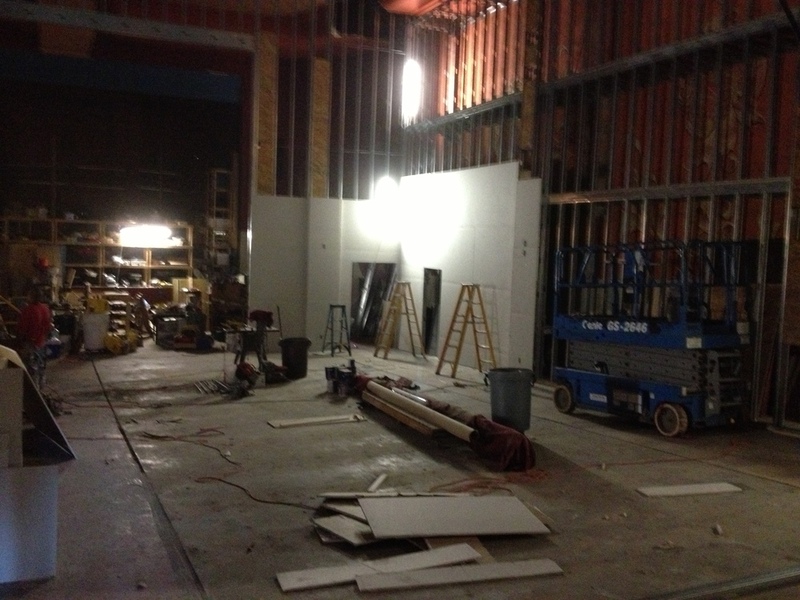 In the midst of all of the drywall madness on Saturday afternoon we were visited by the local ABWA ladies who hosted a Wine and Canvas event here at the theater. 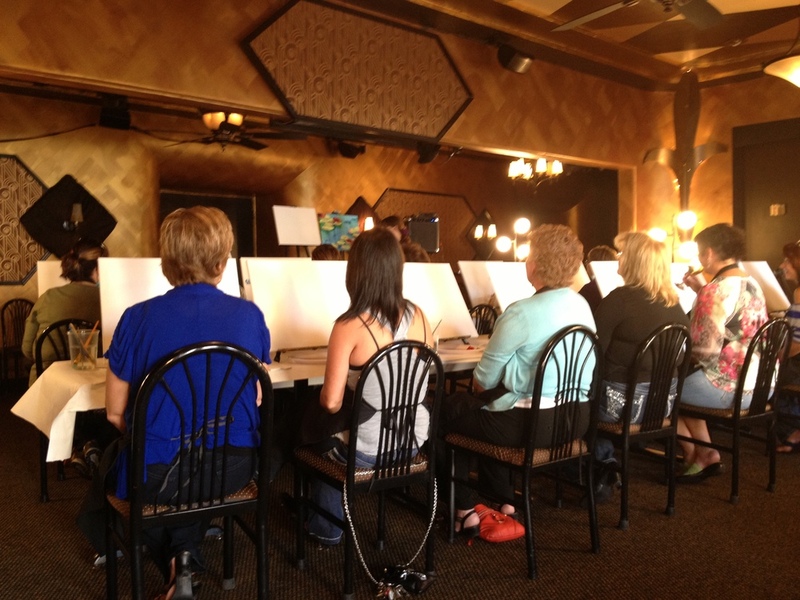 For those of you who don't know what wine and canvas is - it appears to be the modern day version of a book club. You know, where you go and talk about a book, and drink some wine, and talk a little more, and drink more wine... Well instead of talking about a book these ladies painted a painting guided by a professional artist... and drank some wine. 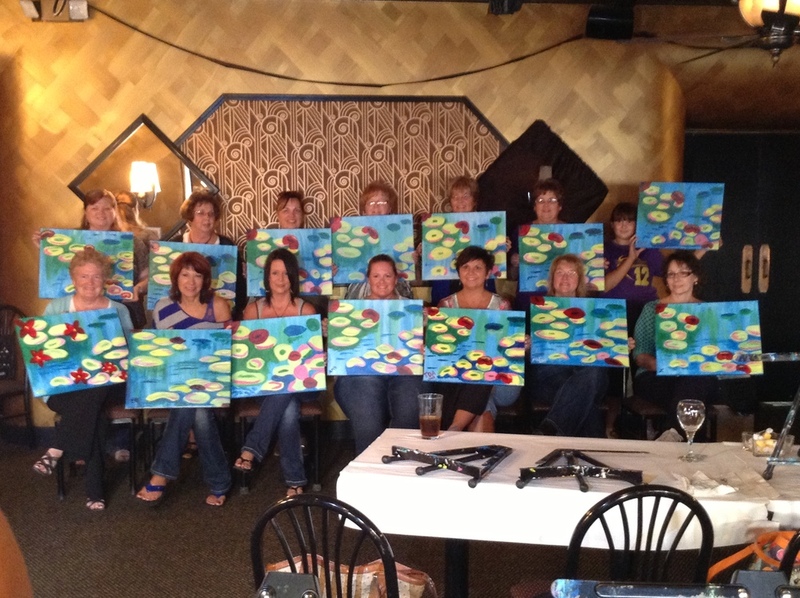 Plus they knew that their lilypads would pale in comparison to the group paintings. Newer PostSanta Claus is Coming to Town! Joel's Virtual Backstage tour of Moonlight and Magnolias! It's Been a Carve Days Night.